At the end, Harry Kane and Ryan Mason embraced in victory. Kane pinched it for Spurs at the death, insisting on taking a late free-kick that clipped the wall and the deflection won the game. Mason played at pace throughout, playing it quickly, playing it forward. He also got right in the faces of the Villa team, clipping heels and giving not an inch. These two want to play for the shirt. After this shabby effort, I’m not sure how many of the others want to. Always enjoy a win but make no mistake, this performance was rotten to the core. If this carries on, look down not up. The three points are only respite from hard times to come unless the entire squad change their attitude, never mind finding some form, and follow the example of these young homegrown players. I enjoy debate about tactics and talk a bit about it here without going into minuscule detail. Tottenham On My Mind is a heat-map free zone. I’m no expert, I just watch other teams. Last week I watched Southampton and West Ham. Both hurl themselves into the fray and run with determination into space, to make chances when they have the ball and to cut out the opposition’s space when they lose it. Most of this Spurs midfield wouldn’t move themselves if you stuck a Saturn 5 up their backsides. I’m past understanding. It is inexcusable. Just run back, the rest we can sort out. This afternoon, Eriksen and Chadli could not be bothered. Erisken, a real talent that I have talked up and who we should rely on during a difficult patch, was substituted at half time, although it could have been any one of 7 or 8 of them. I cannot abide professionals with this sort of attitude. “Fackin’ run around a bit” – it really has come to this. Capoue, a player I like, had his worst game this season, seldom near the action. Soldado was invisible for most of the time. They looked on as our defence was cut to pieces in the first half by a side that hasn’t scored since the Coronation, apparently. Defending is a team affair. The back four deserve some protection. Every other team does it. Mind you, the back four did a fine job of imploding without any assistance. Kaboul was all over the place up against Benteke, who fortunately was rusty in front of goal and missed chances that he would normally take. As I said last week, Pochettino’s judgement to have such faith in him looks increasingly suspect. Vertonghen was anonymous. The gaps between the four of them were as wide as the Grand Canyon. The first half was the DVD of How Not To Defend. Better teams than Villa would have scored more than one. Of course Spurs allowed Villa to break their duck. How can everyone be in the wrong place at the same time? We can. Weimann turned the ball in. At the other end, Kaboul fumbled from close range and Soldado looked wistfully at the ball as he propelled it into Row Z, wondering how on earth it got there. He then set up Adebayor, clean through but his weak shot was saved by the excellent Guzan. Pochettino, Wengeresque, threw his water bottle feebly to the ground. He looked awful, I assume it was a virus rather than the effect Spurs is having on him but then again, perhaps Spurs has become a virus, sucking away the ability to manage a football team. Once again he did not get through to his players although his substitutions eventually turned it around. It was embarrassing, you get the picture. At half-time the commentators suggested Pochettino would lay into his men. Almost certainly no one was listening. We were getting nowhere fast then Benteke was sent of for pushing Mason in the face after a few tackles flew in on the touchline. It was a way back into the match for Spurs that we had not earned and it looked as though we would not take advantage because we played the same way against 10 as we did against 11. Villa kept us very quiet, then Kane came on to brighten the day. I would have started him. His energy lifted everyone, his runs and angled passes posing problems. I would not have played Chadli but Chadli it was at the far post to volley home a corner. Then Kane had the nerve to insist that the late free-kick was his and his alone. A most unlikely win, welcome though it was. I feel for Villa fans: when you are down, you are down. Kane and Mason aside, there were no other positives in this grisly tale of woe. Enjoy the points but tremble at the thought we might play like this again next week. I really thought we had gone past this. Long season…. The effect Poch is having on our team is making any supporter feel pretty ill. He is the virus! I think his tactics are making the players look far worse than they are. The formation plays against our strengths and exposes our weaknesses. However good or bad you think our FBs are it must be a nightmare playing without any cover and being expected to provide the only width in the team going forward. Lack of width from wingers is a killer. Everything funnels into the middle slowing down play and making it easy to defend against us. I’m keen to give him a chance, Jill, but as you say either he’s got it very wrong or the players aren’t responding. This is a new challenge for him as far as I can see, in his career I mean – how is he going to get recalcitrant players to respond? We have too many midfielders who don’t want to play at high tempo, men Poch would not have bought, I suspect. Agree re the inverted wingers. I think the idea is to overload the opposition in the middle while the full-backs offer width. Instead they all just get swallowed by grateful defenders. My name is Kane.. Harry Kane, and this is how you ruddy professionals playing for my team should play the game, and show some fracking passion like our Ryan. Good read and true to detail Alan. Agree with you Pete. In the past I’ve not gone a bundle on the outward signs of character but without it we are nothing. We talk all the time about the Spurs Way and some of this lot have certainly taken on board the ‘lads, it’s Tottenham’ mentality…. Thanks Anthony. Reading fan blogs does give a different perspective. In a match like this, a journalist with limited wordcount would concentrate on the drama. Fine, that’s part of the story and one the papers would want, but there is another very different story here. Benteke was our best player!!! Time for Ade to go and Kane to start. I think he will work well with Robbie. But!!!!!!!! Our defence is awful.lot of work to be done. You didn’t see it then? You have been very tough on the side Alan, and I agree with you. A real hotch potch of a formation and performance. I was pretty annoyed that two up front still saw Kane on the sidelines. Mason is very promising and had another good to very good first half. He tends to tail off second half in terms of his use of the ball but still puts the work in, unlike a good few. He deserves to be the first midfielder inked in each week. The back four are ropey but sides just roll through onto them back four too easily and we get overloaded out wide too often. I also felt Mason and one or two others engineered the Benteke fracas, which was disappointing, especially as it makes it less likely he’ll come to Spurs. I watched the game with several other Spurs fans today and we are all worried that we’re going to be in a relegation scrap. We also got into a heated row about when we started going backwards as a club. One of my friends feels that everything was fine under AVB, but he never witnessed what was effectively watching Chess which almost inevitably ended in stalemate. I have two views that I can’t decide on. One is not so much when Harry left, but when the style, pace, swagger and excitement went, which I think is really when Bale departed to RM. The other is not investing in a decent forward in the January of the “Mind the Gap” season. We are in serious trouble from the top down. We have Enic and Levy just looking at the accounting numbers and turning a nice fat profit, a board that have decided that “The only way is Barcelona”, but without the players or philosophy to do it. A DOF who can’t tell a Donkey from a Gazelle. A Coach, who to be fair must be wondering what he’s let himself in for, but at the same time can’t pick in form players (maybe there’s pressure above – told to play Adebayour for example?) and is beginning to look tactically inept. And a seemingly substantial bunch of players who just turn out for the obscene wage packet rather than the shirt and the fans. I bet Chadli couldn’t believe it when he scored today. I think he was only in that position because he was asking someone how many minutes were left in the game because he wanted to go home. We didn’t even cheer because we were that pissed off with our performance. We did for Harry Kane though. One bright spark who I hope will develop into a legend. As for Pochettino. You have to wonder what it was he had at Southampton that he made so good? One of my friends was suggesting that if we slump into a relegation position at Christmas then he should be sacked. So here we go again in the managerial merry-go-round. Trouble is I can’t see it getting any better. In recent times things first went wrong when Chelsea poached Arnesen, Comoli came in and engineered the disgraceful sacking of Jol. The next ‘critical point’ was when Copello left England and ‘Arry’s total lack of loyalty was exposed as his head was turned towards the England job. Do you remember that fantastic night after ‘Arry’s court case ended when we destroyed Newcastle with brilliant football? How long ago does that seem? I am similarly down if that’s any consolation. Re your points, to me it’s less about style and more about substance. As I’ve written many times here, I cannot understand why Levy did not invest in two or three high quality players when we were in and around the top four. The striker situation has been repeated with HR, AVB and MP. We could have afforded it. It would have been an investment repaid by CL income. This has been compounded by the purchase of several talented players who don’t fit the demands of the PL. Baldini or whoever bought them should have known that. That has to change or else we will get swept aside by more determined sides. Glad someone else feels the same way about Chadli as I do. Grateful for his goals but his overall contribution is poor. Anybody visiting here might think we weren’t 3P off 4th (L’Arse), tied with Pool, ahead of ManU and Everton; in QF of LC; and tied for lead in our Europa group. However we are all of those, somehow. Could be because I’m a glass half full type of guy. Wonder if Pool, ManU and Everton fans moan as much as us? All I can say, is, COYS! Poch,maybe AVB reincarnated after picking Ade for this one.That along with the fact that he had given Kaboul the armband tying him to whatever we do for the season. Kaboul has been one of our worst players the past while,an we wonder how he could garner any respect from the other players (apart from the fact that half of them are just as bad). Why Ade when 100,000 Tottenham fans have seen Harry Kane walk like a striker,look like a striker and act like a striker and yet has been ignored by Poch. We scratch our heads. But then before he normally would have,he put Kane on. mode operendi I called him an ideologue. I projected on to Poch what I wanted him to be. But he maybe more like AVB than I imagined.Stuck with a plan and little flexibility.So was this enough? I’m not sure if Poch can grow. I hope so. MP seems to have a preferred style as opposed to managers who look at what they have at their disposal and fit the tactics around them. I think he’s been wrongfooted by the lack of response from many but equally having the striking options available surely was not his choice. He did well at Saints because he made the players at his disposal better, including the younger ones. Suspect some of our talents want success with less hard work at this point in their careers. Inexcusable. Yes Alan,I can see that side too. He needs the right players and he needs them to work hard. I guess we wanted a great manager an not just a very good one. We are not yet sure what he is though. We have seen better football from virtually every team in the league (well maybe not Liverpool 🙂 ) apart from us with less quality than we have. Systems take time to work but a manager like Martinez (I’m purposely not mentioning Koeman) has his teams always playing good football from the off. A manager,Alan, has to manage a transition period as well as managing the final product. A good manager takes the players he has at the end of the transfer window and makes the most of them. The good manager recognises the strengths and weaknesses of the players at his disposal and maximises their strengths and protects against their weaknesses. He also adapts his plans as the match develops. I fear in Poch we have a manager with a rigid concept of how the game is played who takes no account of the nature of his players and fails to change strategy as games develop when the famous ‘plan A’ is failing. I continue to do be very depressed about our short term future. My other half thinks Poch will get the boot pretty soon, I think he is wrong. We will see. Poch is in pain I feel after watching him over the past few weeks. He maybe stuck in his vision. This is not bad.What is bad is if he lives and dies with it. People blame Levy. Levy for me is not an entrepreneur but a accounting controller of a business.If Poch wanted the job he should have demanded what he wanted or threatened to leave if they were not met. But he may have believed he could make his players work within his system or even made them at least good enough to get back enough for what he needed to spend on players he really wanted.We dont know that.but if we take Levy out of the equation we are left with Poch and his ideas. The players look confused. Its difficult to think of a system and where to fit in and how while your instincts are telling you the opposite.It makes you hesitate long enough to mess up. Spurs are in trouble. They have a squad of talented and skilful players but don’t have a “Team”. It’s a group of players who pay lip service to teamwork but demonstrate on the field of play that they don’t understand what that really means. Evidence of this can be seen in the results. In the long run it doesn’t matter how skilful a squad of players are, team play always trumps skill without teamwork. The Premiership and later stages of cup competitions have teams that understand this and practice it. If Spurs are to progress they need to build a team ethic, work for each other as a unit to beat opponents. Can this squad of players achieve that mentality? Unfortunately, up until now they have shown that they can’t. It looks like a long term problem which will require careful squad replacements or promotions from within the clubs up and coming prospects. Its the chicken bage an the egg Rob. The system needs it to be totally committed too. Thats how it will draw the players together when they lock in to it but everyone is trying to make something happen because the one thing that takes away the pain is not the increments of working towards the system but a win. So players are frantically trying an its is disjointed. We won today an its but a pill to calm the nerves.It gives us no more faith.It cannot sustain itself this way. Exactly. This is why the top 4 is usually the best ‘team workers’ and only occasionally the most skilled. Skill can’t make a pass, or slot a shot in the corner. It is the ‘team paradigm’ which knits Silva and Toure and Aguero and Nasri and Navas, because their flaccid skills would not amount to 2 points in 8. Thank you, Rob, your familiarity with lip service enlightens us all. Perfectly put, Rob. The big problem now is, if this is accurate and recent games show it is, the squad needs a complete overhaul instead of a focus on two or three positions. Poch does not have his own men. No coincidence the young players like mason and Kane have bought into his philosophy, just like they did at Saints. So years of rebuilding, the Bale cash wasted. 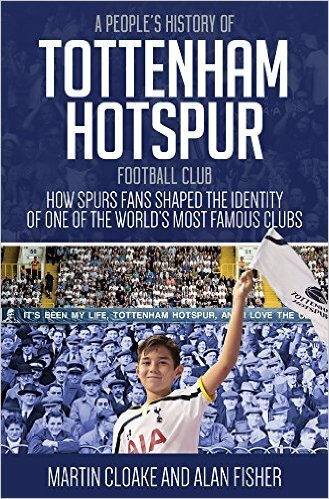 Sadly there are too many so-called fans who claim they love Tottenham but can’t wait to share with the world their hatred towards the team. I’m seeing too many articles and blogs by these so-called fans too quick to hate and to absolutely rip everything to do with the club apart, It’s all the boards fault, Levy out, that player and that player. Call yourself fans, it’s coming to the point where I’d rather talk to Arsenal fans that associate myself with too many of you fans just like the author of this poison piece and the many who comment agreeing, it’s like people have to be told how to support the team or to be told as it’s seems it’s cool to be negative, not allowed to be positive or to find them becuase your not a real fan. (Read those words eleswhere if you didn’t hate Levy). ‘I’m telling it how it is’, why? Why does it need to be said are there really that many sheep who need telling how to support a football club. You support a football team, no matter how well things go, there are always bad times even for example your Chelsea and you drop points against Man utd and struggle against QPR to being bottom of Legaue 2 and not winning a game. Things aren’t good at the moment but this happens and the thing is to get behind everything to with the club, not show so much hate. A lot of you talk like it’s always been perfect, it’s only in recent times it’s been bad. Like to know what team this is because since I’ve been supporting since the 80s there has been many downs and a few ups but I support the club, love them, never embarrassed and never regret supporting them, even now. This is what supporting a football club is about, the highs and lows and you have to get through the lows to enjoy the highs. My favourite are the ones who say i’ve been a fan since the 60s, 40 years for me, and this is the worse I’ve ever seen, I guess 1977 didn’t happen or the actual relegation battles in the past then? Really want to know which team you’ve lot have been following as it ain’t Tottenham. Majority of fans agreed that Poch needs time, not judged in months but years. The ambition shown by the club has been dealt with badly sometimes with the wrong managers or the right managers but not enough times. Brought the wrong players but we have brought well as well. In fact we’ve been employing wrong managers and buying bad players long before the Levy years. Now there are rumblings once again by fans questioning Poch, he needs time, and if this season finishes badly then so what, he won’t change things overnight which is what a lot of fans want. Welcome to the real world. The one thing that does make me laugh is talk about releagtion, PMSFL. My god guys, do you hate the club that much , why don’t you predict League two in the next couple of years as well. It’s because we love the club so much, that it hurts so bad! For a deluded twerp like you, what actually happens on the pitch or in the boardroom is totally irrelevant – you’ve got your blind faith, and that’s all that matters. Yes – I HAVE been a fan since the ’60s, and I saw most of our home games in the 1977 relegation season, and yes, we were poor then, but at least the Chris Joneses and Terry Naylors were TRYING, unlike the overpaid preening crew who currently disgrace the shirt. You’re clearly one of the REAL supporters, who apparently don’t care how badly we play, or how heavily we lose, and bully for you, but some of us grew up believing that Spurs were about style and success – I reckon you’re spiritually a Millwall fan – ‘No one likes us and we don’t care’ would suit you better than ‘the Spurs go marching on’. I read this blog every week. I agree with some of the comments, disagree with others. I rarely come back on people’s comments but the criticism of this blog as a ‘poison piece’ is completely unjustified. This blog is Alan’s honest opinion of the match and team as regular readers will know. When a player and/or the team play well, he’s the first to praise them. It’s an opinion based on many years of watching the club and, I would argue, it’s a more considered view of this current side as a result. I hope others may agree. I’m not sure what a ‘real fan’ is. How can I become one? I’ve been going to Spurs for nearly 30 years and I’ve had a season ticket for 25 years through what has been for the most part thin and thinner. For three long years, I drove down for every game from Middlesbrough (and that was in the Gerry Francis era!). Clearly it’s not just about length of service or mental resilience. Is there an exam or is it some kind of spiritual enlightenment? Some people have well argued opinions. Others less so. I tend to listen to the former and ignore the latter. Perhaps some people, myself included, have an opinion which is overly negative? You may well be right. I’d argue that we’ve been overly positive about this group of players for too long. Who knows? We’ll find out in due course. But the idea that somehow I ‘hate the club’ and I’m not a ‘real fan’ is both fanciful (I was tempted to use an 8 word beginning with ‘b’) and just a little bit insulting. I’m hoping that once you’ve had a chance to talk to a few Arsenal fans and see how they denigrate their players and manager (despite their greater success), you might come back with a different perspective. Nicely written, Peter. I think the sniping at Alan’s blog is unfounded and to say it’s “agenda driven” is quite preposterous! This is by far the best blog about THFC out there. Always well written and measured analysis. An absolute, and the only, must-read after a game. Excellent analysis as always, Alan. Let’s start with some positives – Harry Kane and Ryan Mason were our best players by far yesterday. Harry Kane has scored nine goals in all competitions this season. And he is a local lad who came through the academy. Supports Spurs too. These things matter to the fans. It helps explain why we have taken him to our hearts. Kane also showed an impressive confidence to demand to take the free kick, which won us the game in the final minutes. Time for Harry Kane to start Premier League games; probably with Soldado rather than Adebayor. Tim Sherwood got two important things right during his time at Spurs. First, he was prepared to say or strongly imply publically that we should not have spent the Bale money as we did. We had plenty of home-grown talent ready to bring through, including players like Harry Kane. Second, he had the guts to put those home-grown players in the first team and drop the supposed superstars. Looking back fondly to the Sherwood era says it all. I keep hoping that the way we occasionally grind out results in spite of our performances, along with a decent cup run, will give us the confidence to make things ‘click’. It’s more likely that these results are barely papering over serious cracks. We could be in deep trouble. We won’t go down but we will be there or thereabouts if we keep on like this. 8th place, 3 points off the top four? That flatters to deceive, like our performances against teams like QPR and Villa. I was standing directly level with and quite close to Hugo Lloris during the first half yesterday. It was interesting watching him shake his head and turn away and walk back to his goal, head down each time another move went wrong. That’s how the fans feel Hugo. We play with no discernible style or strategy. We are a collection of 10 outfield players who, to a greater or lesser extent (and it is mainly lesser) run around and hope they’ll somehow get the ball to another player, preferably one wearing a white shirt. We can’t even take that for granted. Perhaps I’m naïve but it genuinely shocks me that professional footballers playing at the highest level repeatedly give the ball away, mistime a pass or a tackle, fail to the clear the first man at a corner or a free kick and hoof the ball aimlessly in the general direction of the other team’s penalty area. Everyone makes the odd mistake but these are permanent features of our game. It is sloppy and unprofessional. We celebrated the win like it was a cup final. The relief was palpable. So we lurch on the next game away in the Europa League on Thursday. Then Stoke at home. Nothing to worry about there, then. Wasn’t this supposed to be the run of easy fixtures? Mauricio Pochettino is a good manager. We must stick by him whatever happens. He is the third manager to work with this group of players. If it still isn’t working then MP clearly cannot be solely responsible. Our away support is terrific. When Kane scored, we went wild and the players came over to celebrate with us. In that moment it was great to forget about how rubbish we had been and just feel the euphoria. Why do you say Poch is a good manager? And please don’t tell me to look at Soton, they are looking much better this season having supposedly sold many of their best players. Jack, this blog is written by one of those supporters from the 60s. In the five seasons (or is it 6?) that I’ve been writing it, I have often made the point that however poor we have played, it’s not the worst, or this player is not the worst. Doesn’t mean I can’t say when Spurs stink the place out. And yesterday they did. In particular, over the last couple of games, several players have committed what to me is the cardinal sin – not trying their best. I don’t expect people to know the blog so that’s OK, and as you say there are many other blogs out there who get 10 times the views of this one by writing sensationalist stuff. There’s no agenda but there is a context to yesterday’s piece – I don’t have a knee-jerk go at players or the manager, or the chairman for that matter. I do criticise if there’s a reason to do so, not because I have an agenda but because I care. Because I, and you, and others who comment here, were here long before anyone else at the club and will be here long after the current chairman, manager and players have departed. And yesterday we were awful. More worryingly, I don’t think Pochettino is getting through to the players. For the record, I do not want Pochettino to leave, I want him to be given a proper chance by supporters and especially the chairman. And also for the record, I said the same about AVB and Redknapp. And on Sunday I’ll be back in my usual seat on the Shelf to cheer them on. Sounds like we have a lot in common. Spot on Russell, the euphoria gave a warm glow to my living room. But the fans on the train are right and ‘papering over the cracks’ sums it up unless the players respond. A manager not getting through to players. Players up for glory but not a fight. A recipe for disaster. I’m with Hugo, he knows it and feels it. I watched the Brighton game on a stream and Sherwood was on. As you know I’m not a fan but he was forthright in saying that Kane and Townsend were the ones in that squad with a winning mentality. He also said Spurs fans prefer the expensive foreign players to home-grown, at which point I disagreed in the strongest possible terms…. Couldn’t believe what I was watching at times yesterday. I’ll leave it at that. Lost count of how many times I said or thought that yesterday. How can they perform that way? Tottenham – the gift that keeps on giving. 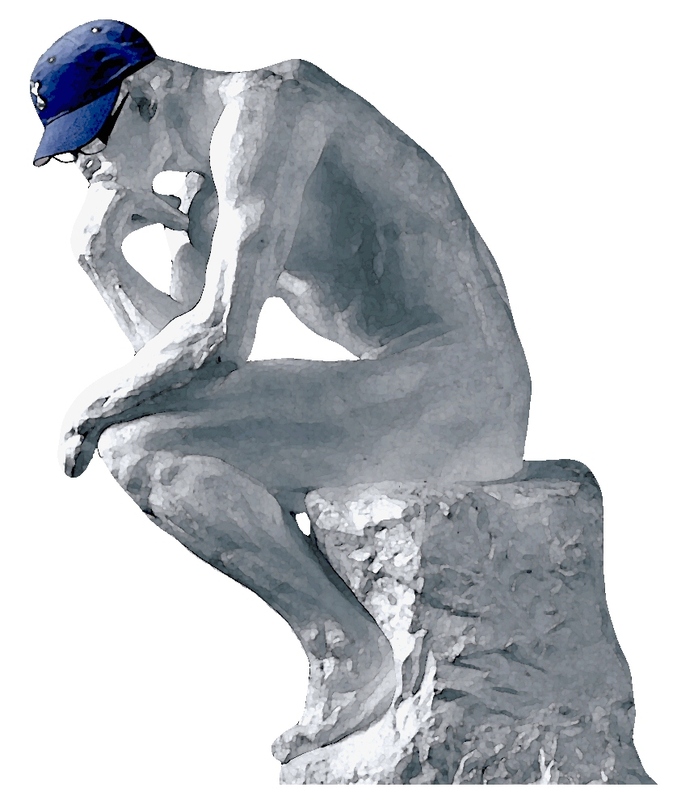 One week we contrive to lose a game we should have won. The next we win a game we should have lost. Before that combo we looked quite useful at Arsenal. That little bubble of hope has already grown and burst several times this season. How the rest of the Prem must rub its hands and relish the prospect of a scrap against this rag tag mob of a manager and his first team squad. The only explanation must be that Mr. Poch is screwing with us with his team selection. Logic defied the appearance of Soldado and Adebayour together. Poor Soldado is now entering Rebrov territory or maybe carving his own niche in our Hall of Shame. My theory is that Mr. Poch has given up on a top six place and is keeping Harry fresh for the Europa League, which is our only chance of a back door into Europe next year. One ingredient missing for me is the absence of an experienced, no frills midfielder along the lines of a Gareth Barry, whose job it is to keep it simple, effective and isn’t afraid to bollock the very raw talent currently turning out each week. I feel for Eriksen who has been doing the work of two in midfield for the past few weeks. And Rose needs better protection to cover his flaws. Yesterday he had a better game, and was clearly playing to orders to stay narrow and not wander too far wide and forward. But Chadli should have filled those wide yawning gaps in front of the defence which creaked and groaned at every cross that entered our airspace. A wise old head would have been able to shout damage limitation orders when it got ridiculous and we were making Villa look like a goal machine. God knows what will be served up against Stoke next weekend. Crouchy and Adams will be looking forward to it, I’m sure. How many of our lot will be, who knows? On a final note, I was pleased to see Vertonghen go bonkers and join the scrum when Harry scored. For someone who last smiled in public back in 2001, it was good to see him just be one of the lads and get his freak on. The fantastic support deserved it, too. Stoke’s work ethic will sweep us aside if we play like that again, while Kaboul’s apparent inability to spot Benteke’s bulk could turn two metre peter into a world-beater if repeated. What a shame I joined the blog so late this week. For what it’s worth I agree with your every word regarding yesterdays match, it wasn’t so much a hollow victory as a cavernous vaccum of a victory. As for the critcism aimed at you, I only read this sight because we’re guaranteed a fair summary of each and every game so keep up the good work. Appreciate that and always good to hear your comments. For what it’s worth, it would be a dull world if everyone agreed with everyone else all the time. Meh, it’s the internet Ashley. Firm believer that debate (not agreement, debate) will persist here if people keep discussing the team and want to listen as well as comment or vent. Naive? heh, why not. Worked so far! I hope comment writers keep a perspective here.You should appreciate Alan’s efforts to write a good and balanced article whether you agree with it or not. How many of those criticising would bother to spend the time writing these articles.Credit where it’s due please. The team certainly seems to have major problems to overcome.Any manager should be given time,God knows we’ve had enough in the last few years,but a quarter of the way through the season we should be seeing a response from the players to the methods of Pochettino.Sadly this doesn’t appear to be happening.January could be very revealing. In response to an earlier comment about other teams’ supporters my best mate is a gooner and he goes ballistic when ever Wenger or Ozil in particular are mentioned,but is generally scathing of their overall performances.Our two teams currently share a common failing,no leadership.